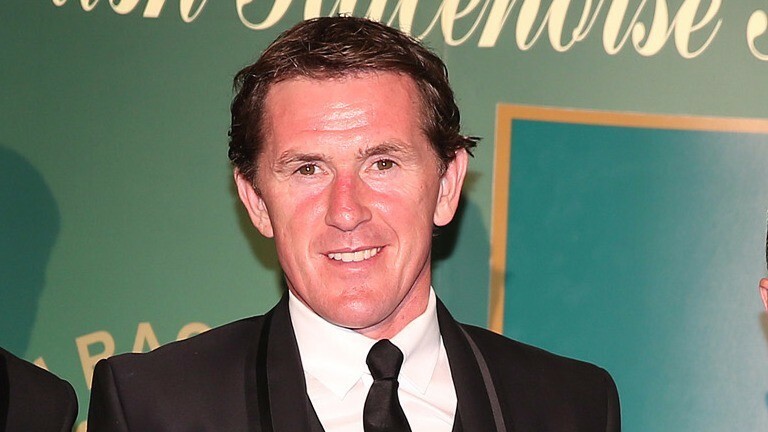 Sir Anthony McCoy ran into a storm of protest when he suggested a female riders' weight allowance last year but on Monday reiterated his support for the proposal, which is set to be pioneered in France this year and in doing so he has received the backing of the Turf Club's chief medical officer Dr Adrian McGoldrick. McCoy, who believes the move will lead to more opportunities for women in racing, also revealed some female jockeys refuse to speak to him following his support for the controversial allowance, which has received a largely negative reaction from the women's weighing room. "I haven’t changed my stance that a female riding allowance is a good thing," McCoy said. "If anything I’ve hardened my view since originally mentioning it. "Back when I first discussed the possibility, Michelle Payne had just won the Melbourne Cup and said racing was chauvinistic. She said she was as good and capable as any man and I don’t doubt that, but statistically women have found it difficult to compete for opportunities and I want women to have more chances. "Lizzie Kelly won a Grade 1 last season, she gave it a great ride, but did it do a lot for her career? Has she ridden 50 more winners this year? No, because of a lack of opportunity, and whether Michelle or Lizzie like it or not, trainers opt for a bloke most of the time. The former champion jockey, writing in his William Hill blog, added: "When I aired my views before, I had a few female jockeys who didn’t speak to me for a while. Some of them still don’t. They thought I was saying women jockeys weren’t as good as men and that is not what I was saying at all." McCoy also suggested women should consider making the move across the Channel to further their racing careers. "If I was female, I’d be riding in France by the morning, because it’s a great opportunity and incentive," he said. "It will hopefully encourage more young girls to get involved with the sport." The French proposal has received a mixed reaction from female riders, with champion apprentice Josephine Gordon describing it as "a bit offensive" while trailblazing US rider Julie Krone called it laughable and a "really bad idea". However, Melbourne Cup winner Payne said it would prove "a nice incentive" for female riders. McGoldrick said the Turf Club was carrying out research at Waterford Institute of Technology on the physiological elements needed by successful jockey. While the study was not designed to examine the differences between male and female riders, McGoldrick believes the results will offer insight on the matter. He said: “Somebody of AP’s stance would not have made a suggestion such as this lightly. He is the elite rider of his generation and his comments are educated ones. There are strength differences between male and female riders and the introduction of an allowance could help female riders. “I don’t think anybody has ever defined the elements of being a rider. We will be mainly looking at this test to find out what are the main energies expended in riding racehorses and then we can develop the right nutrition, exercise skills and conditioning for jockeys. "We won’t be looking at it from the main point of view of should females be getting an allowance or not but certainly down the line we will have more of an understanding on this,” he said. Regarding the possibility of a female riders' weight allowance in Ireland, McGoldrick said: “I'm not pushing for something similar here but if there is some scientific research to back up the idea well then it’s something we could look at.